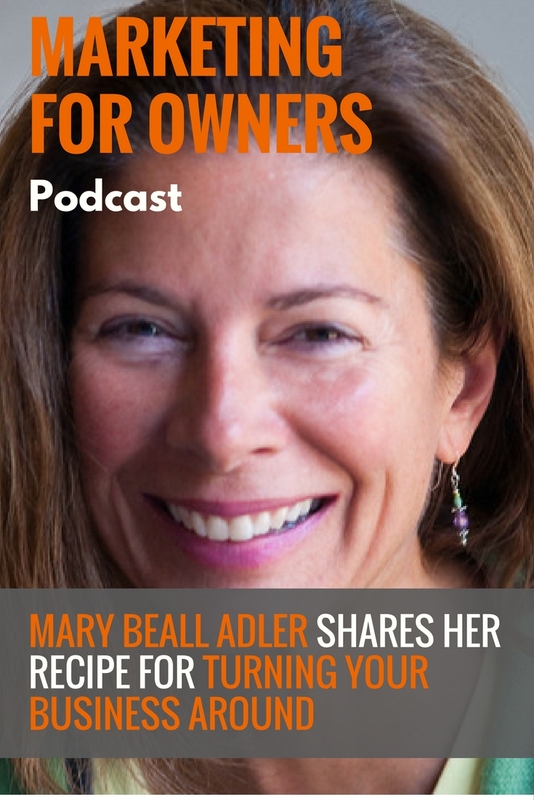 Once a gymnast competing in national tournaments at school alongside a future Olympian, Mary Beall Adler has now been a successful businesswoman for over 30 years. But while at Law School in Washington, she met her now ex-husband who was then just starting up a brand new bagel shop in Georgetown. It wasn’t long before Mary was selling them at school, for an hour in the morning and an hour at lunchtime, making an average of $200 a day. After getting married, she left school in her third year and stepped into the business to help out. Now she runs it by herself and has had to overcome many difficult struggles along the way. 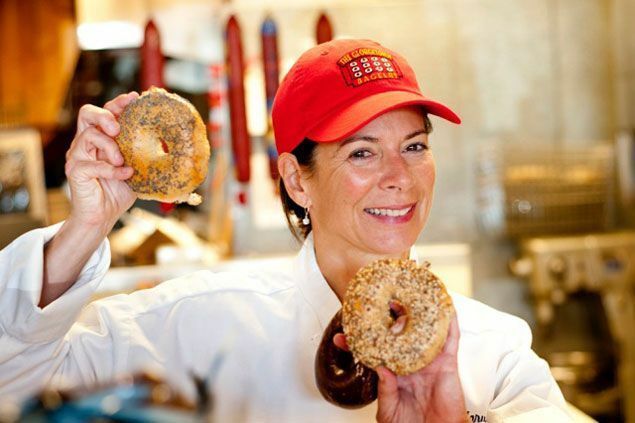 It’s now a local success and she has made Georgetown Bagelry a huge part of the community through different initiatives. All while being a mother to three children. 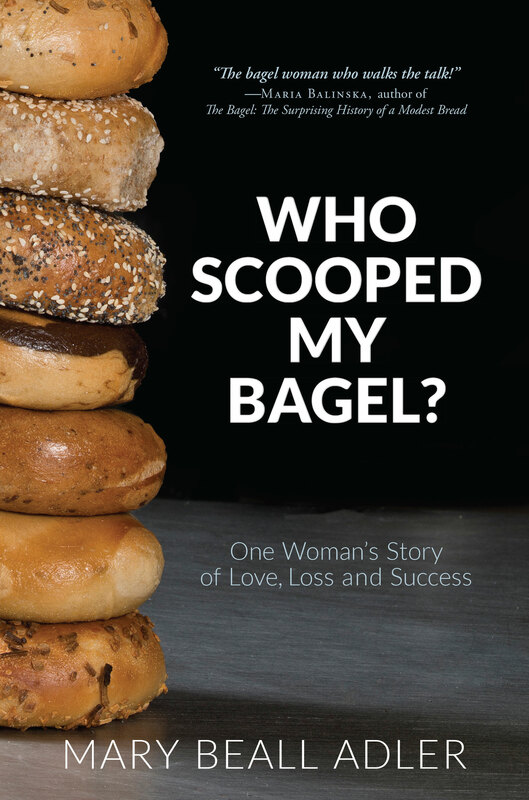 Mary has even written a book called Who Scooped My Bagel which is about her personal and business struggles. 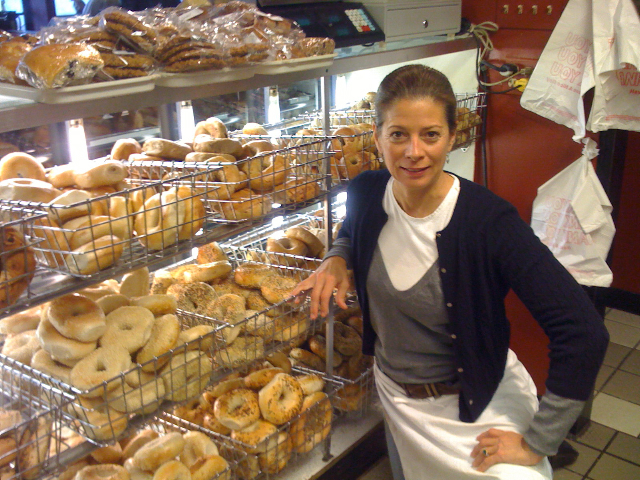 All of which she has overcome during more than 30 years selling bagels. And she’s now sharing with us exactly how she turned around her floundering business into a successful one with plans for expansion. Mary’s big plan for life was to attend Antioch Law School, graduate and move away from Washington. After all, there are enough lawyers there already. But life never works out as you expect. She was married before her third year of school before packing it in to work in her husband’s bagel business. Back in 1985, when the business was roughly 18 months old, they had already filed for bankruptcy. And she admits, mistakes were made which were out of her control. 15 years ago, when Mary and her husband divorced, they split their two bagelrys and three restaurants. She kept the bagel business. It wasn’t until she had taken over control, however, that she realized the bad state the business was in, with a $750,000 debt. It was then she had some tough decisions to make. Did she give it up and start again, or did she stick at it to make it work? She now had the opportunity to really put her stamp on the business and turn around what she never liked. So she stuck at because, despite everything, she could still make a great bagel. She had a great product. The business was suffering from a lack of wholesale, and no marketing or financial controls in place. So she made it her task to have conversations with all the people who knew the business best, such as the landlord, accountant, and attorney. Mary met with them face-to-face and made brand new relationships with them. In the end, she made the tough decision to downsize the business and moved all operations to just the one, smaller store. And as she dealt with her financial situation, she hired a bookkeeper to help her understand the numbers which were important to the business. As well as making sure she paid the business’s taxes. Mary revamped her menu and raised her prices as appropriate. Even simple things like installing a camera to track missing money soon paid for themselves (FYI: It was the delivery men). But all the changes she made were the result of following advice and paying attention from what other successful businesses were doing. 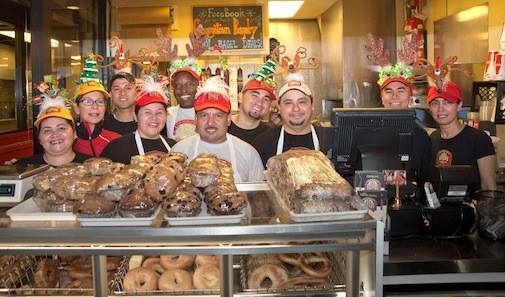 One thing she has noticed over the years is that people assume running a bagel business is easy and good fun. And she has unfortunately see’s the same people failing. The key, as with any business, is to make sure you have a clear focus. And hers was, and still is, to bring bagels to her community. A problem she encountered at the time when she was selling the other store, was that she was seemingly too honest. People were struggling to believe her. And whilst tackling the debts and dealing with the IRA, she ended up firing her expert and ended up representing herself. Although her experience in law came in handy, it was her honesty that made it work. By being upfront and straightforward, she got the result she wanted. Honesty is the best policy. And in a world where many other people don’t operate like that, it can make it difficult. But just remember at the end of the day, at least you can sleep at night. Mary also saw the power of being online and used it as yet another method of being transparent. She could let her customers in on what happens at the back of her store. Plus, back when Georgetown Bagelry got a website, not a lot of other small businesses had their own website. And as a result, it earned her respect. When she did move into social media, she was inspired by a story she’s heard about a bakery in France. So she started tweeting the bakes, which meant that they put on Twitter whenever something was freshly cooked, so her customers knew when to go and get what they were after, fresh. However, one lesson she did learn from this was to separate her personal account from that of her business. Mary found out that the people who were interested in hearing about their latest bakes, were not necessarily interested in her motivational tweets. They were aimed at different audiences. Mary has stuck to that clear focus she has of her business, and they support the local community in a variety of different ways. She’s been in the bagel business for many years, and she now sees the children she served all those years ago, bringing in their own children. So to her, kids in the store are like gold. They are something to cherish. That’s why they make a fuss of children that come in, and work with local schools. After all, these children will be customers themselves in the future, so it’s a good investment to make. As well as that, military personnel receives a 50% discount, every day and all day. At Georgetown Bagelry, they give generously to good causes in a three-mile radius, which really is investing in the community. And this sense of community is clear to see. Despite having the option for customers to order online so they haven’t got to queue, people still like to line up out the store and down the block. And that’s because many like to catch up and chat with their neighbors as they wait. And that will have undoubtedly of helped begin plans to expand in 2017 with the opening of a second store. If she could give advice to herself before she started out, she’d make sure to tell herself to ask questions and remain honest. As you can tell from how open she’s been in her interview, she really does advocate honesty. Take the time to sit down with people as that can make a real difference. And when talking, do so from the heart, and not only about where you are now, but where you want to go. That can help turn a dream into a plan. She’s also found that when things are written down, she’s far more likely to actually accomplish them, and often does so quicker than she otherwise would have. But additionally, Mary also really found Life Purpose Statements incredibly useful. Sit down and write some affirmations, which can then get put together. Just that process gives you a purpose for everything you do. And it’s something you can do for any aspect of your life. What only makes her achievements even more inspiring is that she did it all as a single parent to three children. Throughout it all, they were obviously her main priority. They were always fed, were where they needed to be and when, and had their beds made. And although they may have had to go to bed early so she could wake up early, they could just sit in bed and read if they wanted. But she also made sure to not micromanage their lives, and she let them learn for themselves. They were allowed to make mistakes and learn from them. Of course, that’s hard to watch them do, but it helped them grow into strong individuals who can survive in the real world. And she’s very proud of what they’ve achieved. Her book is a memoir of her life up until around 7 or 8 years ago. It was never planned as a memoir, but it intersperses between her business and personal lives. But after all, the success of a business is just as much about the person too. Like always, she is completely honest in the book and felt it was worth it even if it only helps one woman. However, not only has she had a lot of praise from women, but men also. There really is no better way to learn, than from someone who has been there and done it all before. So make sure you grab Mary Beall Adler’s book Who Scooped My Bagel? It’s all about her story of love, loss, and success. You can also visit the Georgetown Bagelry website if you want to learn more about her business. And if you’re ever in the Washington area, I’m sure her bagels are worth checking out.